In a highly partisan world, Judge Watford has received praise from both conservatives and liberals for his work on the Ninth Circuit, which hears cases from nine western states and two Pacific islands. Watford was nominated to the court in 2011 by then-President Barack Obama. At the time, well-known UCLA Professor Eugene Volokh described Watford as “extremely smart, thoughtful, reasonable and judicious.” A year ago, The Washington Post reported that Watford was a finalist for President Obama’s nomination to the Supreme Court. Watford grew up in Southern California and received his law degree from UCLA Law School. He clerked for U.S. Court of Appeals Judge Alex Kozinski and for U.S. Supreme Court Justice Ruth Bader Ginsburg. 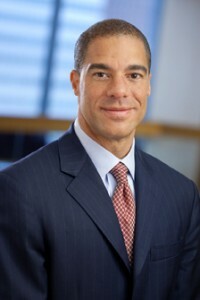 Watford also worked as a prosecutor in the U.S. Attorney’s office for three years, and as an appellate lawyer at a large firm before his appointment to the bench. Judge Watford will discuss his career and the work of the court during his visit to Eckstein Hall.